We took a little vacation the last week of the year in San Francisco. On the first day of our little roadtrip we made a stop in one of my favorite towns in the world, Cambria. If I could move there, I would. I absolutely am enamored with the Central Coast and Cambria is my favorite town in the area. 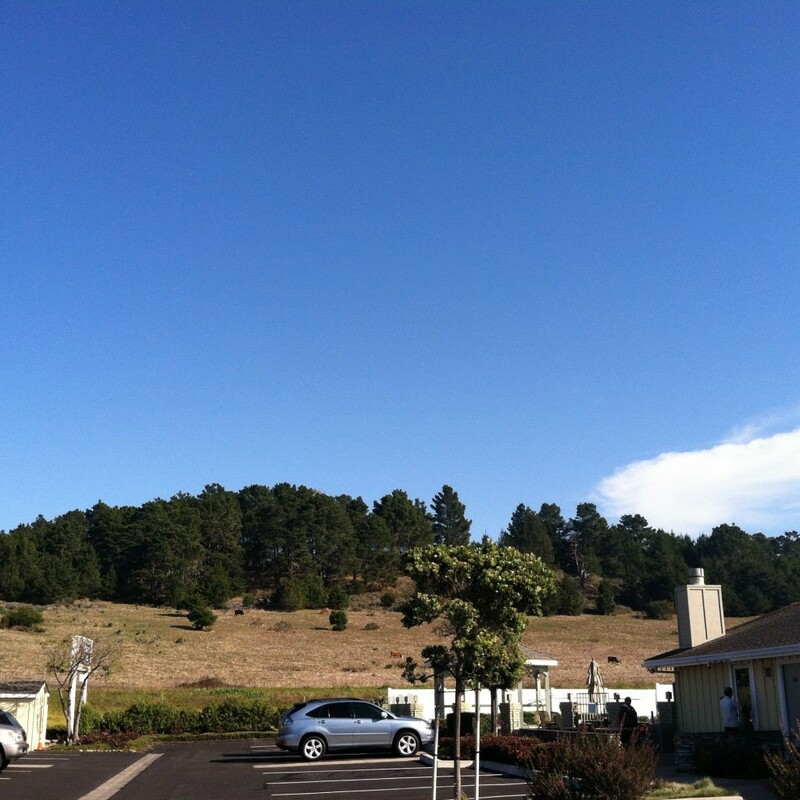 We make it a point whenever we are in the Central Coast to spend at least one day in Cambria. I love the quaint coastal town because it has incredible weather and the most beautiful coastline. I can spend the day walking on the beach and watching the kiddos pick up shells from the beach. Enjoying the fireplace! They are available in every room. We are always on the lookout for a great family friendly hotel and the Best Western Plus Fireside Inn Cambria definitely fits the bill. The rooms are clean, comfortable, have a fireplace, flatscreenTV and did I mention that they are steps away from Moonstone Beach? 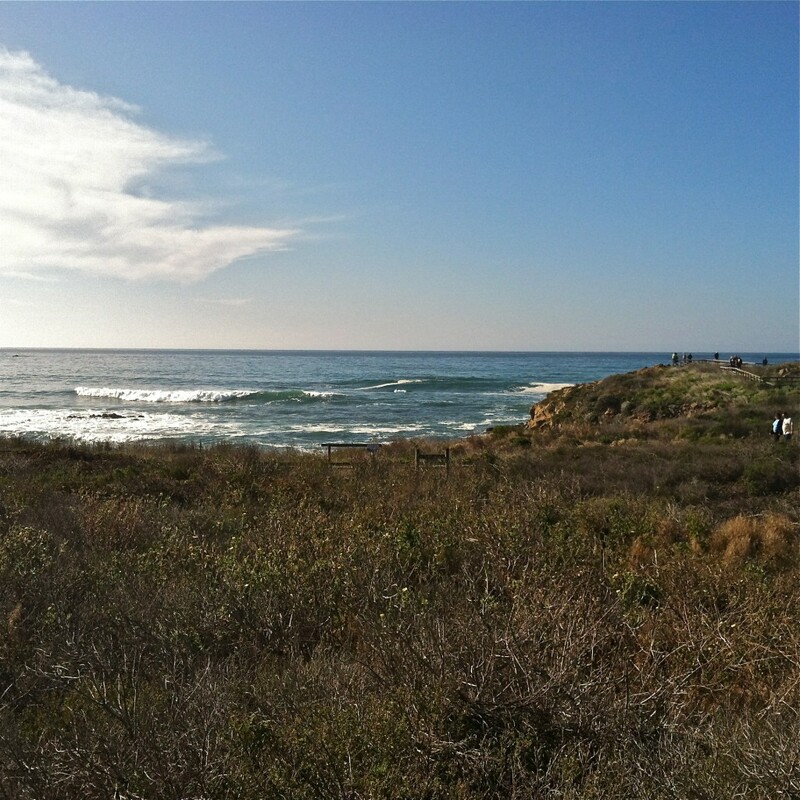 You step outside and are rewarded with one of the most beautiful views of the Central Coast. 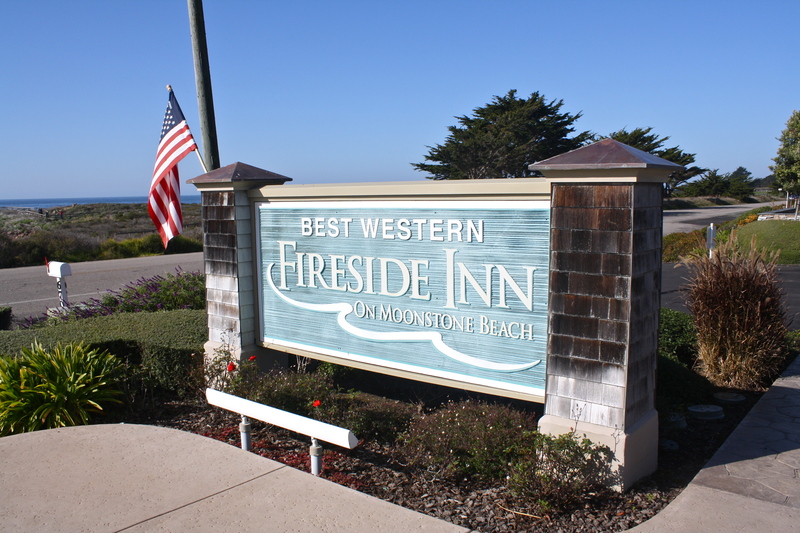 The hotel is located alongside Moonstone beach and only a few minutes drive from San Simeon and Hearst Castle. One other money saving perk for families staying at the Fireside Inn is a complementary breakfast, which includes made to order waffles that my kiddos LOVED! The hotel is located adjacent to the Highway 1 and also a few minutes away from the Piedras Blancas Elephent Seal Rockery. My kiddos could stay there for hours watching the seals in their natural habitat. I will be posting a more in depth look at Piedras Blancas Elephent Seal Rockery. The hotel has a great location to everything that the Cambria and the Central Coast has to offer. The kiddos love playing in Shammel County Park which has a great play area and is only a few steps away from Moonstone Beach Park. Plenty of Parking, fresh cookies and friendly staff! 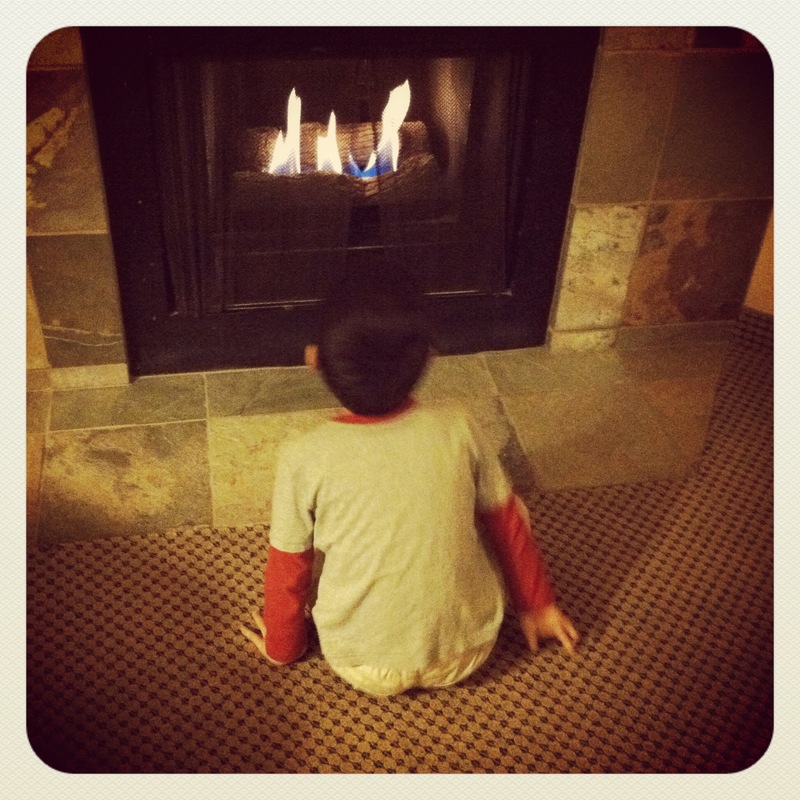 I would stay at the Best Western Plus Fireside Inn again in a heartbeat. We had a great stay and although we only spent one night there, I can’t wait to spend a few more days there the next time we head up the coast. 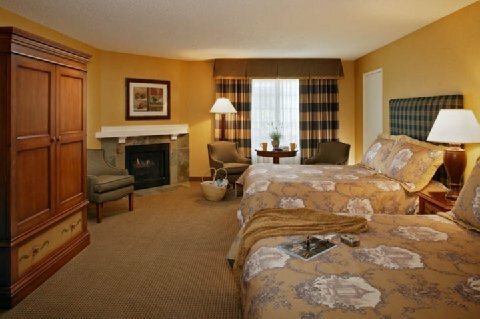 If you’re looking for a great family friendly place to stay, make sure to check out the Best Western Plus Fireside Inn… P.S. They also have a few pet friendly rooms, so that Fido can come along. Disclosure: This is not a compensated post. A complimentary night stay was provided to help facilitate a review. 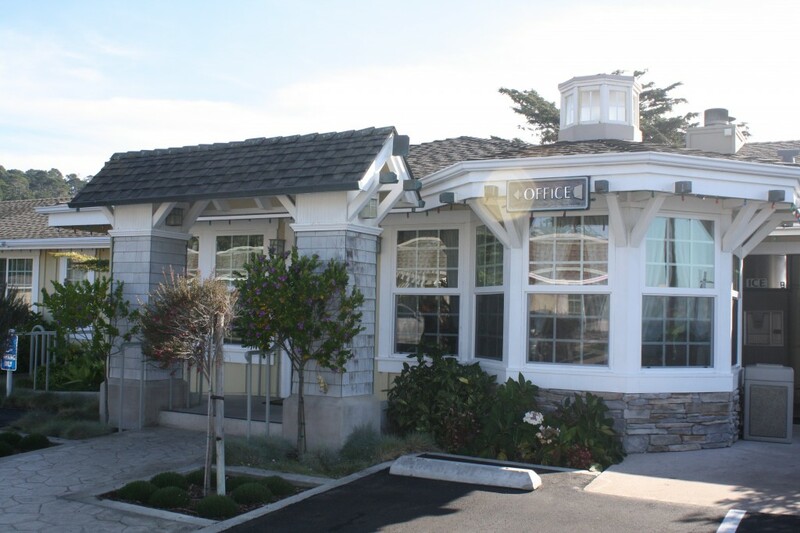 This entry was posted in Uncategorized and tagged California, Cambria, Cambria Hotels, Family Friendly Cambria Hotel, Fireside Inn Cambria, Moonstone Beach Hotels, Review Best Western Fireside Inn. This is the most beautiful Best Western I’ve ever seen! LOL! I am going to book here just because of this post … it seems kinda pricey though. Did you go see the seals or Hearst Castle? Any tips? Hi Sophie, It’s a little pricey but pretty much all of the decent places to stay along the coast are. We visited the elephant seal rockery and have visited Hearst Castle with the kids in the past. You can search on the right hand button of the site and find the reviews. It’s a great little place!